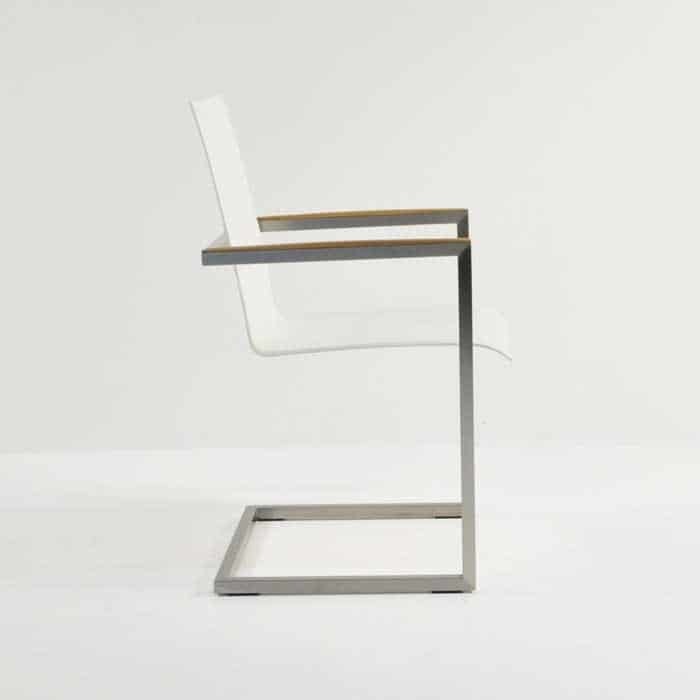 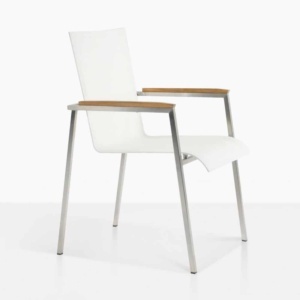 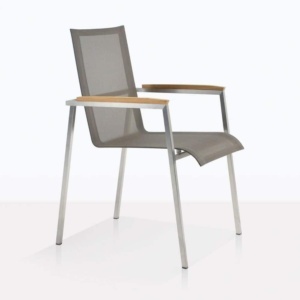 A bright white Batyline® Mesh and marine-grade stainless steel dining chair with a contemporary design and style has a hint of A-Grade teak on its arm rest. 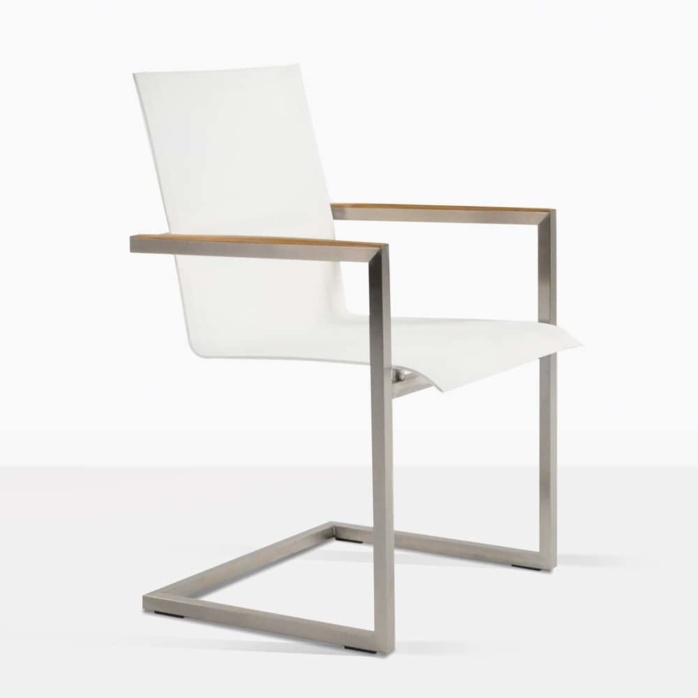 The Bruno Dining Chair adds sophistication with its sleigh bottom base with a floating look. 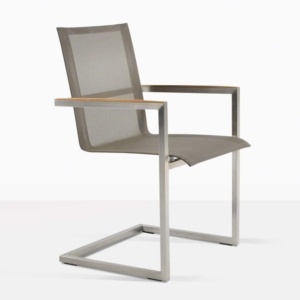 Combining the comfort of mesh and stainless steel stability, this is truly a modern chair that will be an ideal addition to your outdoor (or indoor) dining experience.